Fall 2017—Dr. Preston Dyer, BA ’60, is an educator, a servant leader who developed Baylor’s social work program nearly a half-century ago, and recognized by peers as the “most influential social worker alive.” However, his most cherished accomplishment is his connection with former students. Fall 2017—Baylor Law School has received national recognition countless times for the quality of its academic preparation, the quality of its graduates, for its value—and for the school’s service to others. In the past few years alone, Baylor Law has earned six state and national awards for service, including the American Bar Association’s prestigious Pro Bono Publico Award in 2015 (one of just two schools so honored in 30 years) and the 2014 State Bar of Texas’ W. Frank Newton Award. 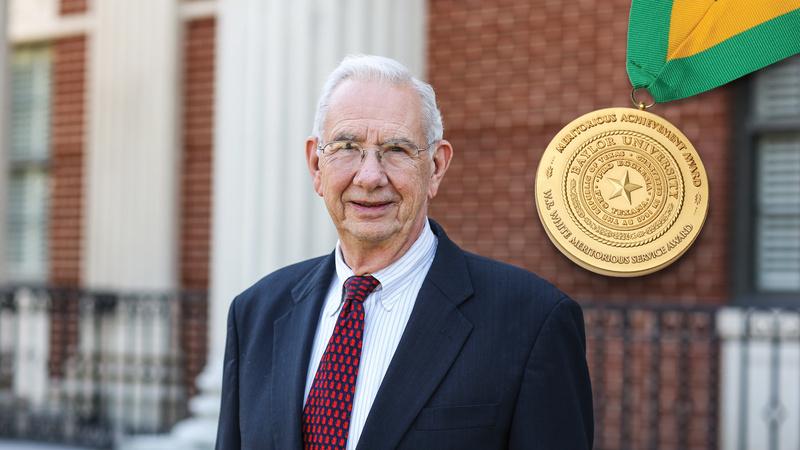 Fittingly, the latter award—bestowed on those who display outstanding pro bono legal service to the poor—was named after Baylor graduate W. Frank Newton, BA ’66, JD ’77. Fall 2016—Each summer, Baylor Missions sends students across the nation and around the world to use their talents and skills to spread God’s message. Over the past year, Baylor University sent 38 teams consisting of 403 students, 72 faculty and staff, and 18 guests to 15 countries, including the United States, on mission trips that aided in building community development, helped in hospitals, encouraged community education and constructed solar-powered battery charging stations, to name a few. Fall 2016—Baylor Interim President David E. Garland announced the designation of Master Teacher--the highest honor granted to Baylor faculty members for sustained excellence in teaching--on Corey P. Carbonara, PhD, professor of film and digital media, College of Arts and Sciences; T. Laine Scales, PhD, professor of higher education, School of Education, and associate dean of graduate studies and professional development, Graduate School; and Gaynor I. Yancey, DSW, professor of social work, Diana R. Garland School of Social Work. "It is an honor and privilege to confer the lifetime Master Teacher designation upon Dr. Carbonara, Dr. Scales and Dr. Yancey. All three faculty members were unanimously recommended by the selection committee as excellent teachers, whose years of dedication and commitment to teaching and to our students have been outstanding," Garland said. 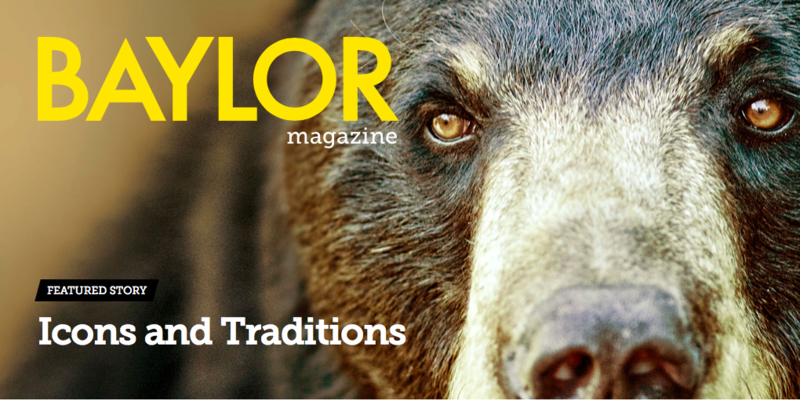 "They truly represent the transformational experience our students receive at Baylor." The appointments are based on the profound impact of faculty members in the classroom and on students' lives as judged by the record of the faculty members' achievements and the observations of the various nominators. Nominations may be made by former students of the nominated faculty member or by current or former staff, faculty or administrators personally familiar with the nominated faculty member's record of teaching achievements and other contributions to teaching. 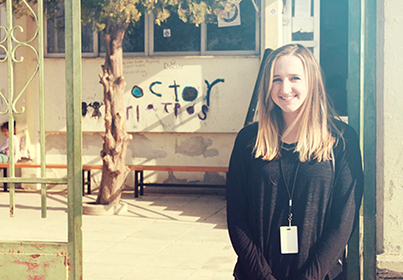 Winter 2017—The day after receiving her master's degree in social work in May 2016, Katherine Diehl found herself on an airplane headed to northern Greece as part of Antioch's church movement's Engage the Crisis relief effort to help people displaced by war in the Middle East. One group tracking the U.S. relief efforts estimated that 3,500 Americans volunteered last summer to work with refugees. Over half that number, many with Baylor ties, went through Engage the Crisis. Full article may be accessed here. Baylor's Diana R. Garland School of Social Work (GSSW) and the Waco Independent School District (WISD) formed a multi-faceted partnership to help WISD students develop emotional resources that can lead to academic success through the BEAR Project. 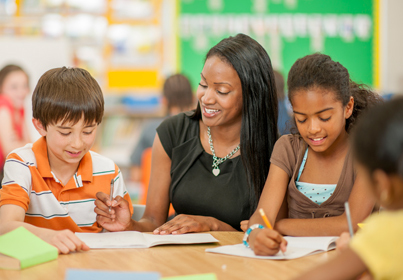 BEAR stands for Be Emotionally Aware and Responsive, and its interns provide personalized attention to help students build skills that can help them stay in the classroom and learn. “We're working with students, parents, teachers and administrators to be more emotionally responsive to one another to help focus on the social and emotional needs of WISD students," Carolyn Cole, BEAR Project manager and social work lecturer, said. "We place Master of Social Work (MSW) students in schools to work individually with students to help them develop behavior and emotional skills. Our goal is to help keep kids in the classroom where they can learn."